It’s finally the time in Cleveland when your lawn has your attention. By now it should already be cleaned up from any debris, snow mold, leaves, and thatch from the cold winter. If it hasn’t been cleaned up, now is the time to do so before buying grass seed to cover any brown and spots which are bare. Finding grass seed to plant in your area can be easy, but there are usually a mind-numbing amount of choices and it can be difficult to figure out which grass seed will grow best in your area. Make sure to choose the grass seed that will match what you already have grown so there is a smooth seamless surface from the old grass to the new grass. For more information about your grass type or for help with your lawn care in Cleveland, contact your local lawn care provider. Cool weather grass types are typically the most common in the Cleveland area and will stay green for most of the year. As grass types vary in look and care, here is a simple guide to four grass types for your home in Cleveland. Kentucky Bluegrass is considered the primary lawn turf grass which is grown in lawns in Ohio. It will form a high-quality, long-lasting, and fine-textured turf. It grows by producing rhizomes which new bluegrass plants grow from. Because of the rhizomes, Kentucky Bluegrass can recover rapidly from an injury and also fill in an area which is thin. It’s winter hardy and can withstand extreme moisture and temperatures. If there is a hot dry period, it will go dormant and lose its color. If you want to keep color during a hot summer, then the grass will need to be watered. Lawn mowing height: All the varieties of Kentucky Bluegrass should be mowed to a height of 2-2 ½ inches. Perennial Ryegrass has the potential to develop into a high-quality lawn because of its fine texture. This grass also has a rapid seed germination and easy to establish seedlings. It grows in a bunching-type habit and will form density if tilled. Perennial Ryegrass is disease tolerate and cold tolerant but less so than Kentucky Bluegrass and will grow in most of the Ohio area. There has been an improvement in the cultivars of perennial ryegrass to develop a better cold tolerance, darker color, better density, and to be more disease resistant. Lawn mowing height: The best lawn mowing height for Perennial Ryegrass is between 2-2 ½ inches for optimal care. Tall Fescue is a great choice if you want a more coarse texture for your lawn. It does well under low maintenance, will grow in soil with low fertility and has a tolerance to disease and insects. It will germinate pretty quickly but at a slower rate than ryegrass. Because of its deep-rooted nature, it tolerates wear and drought. It will remain green through most summers in Ohio without needing to be watered. 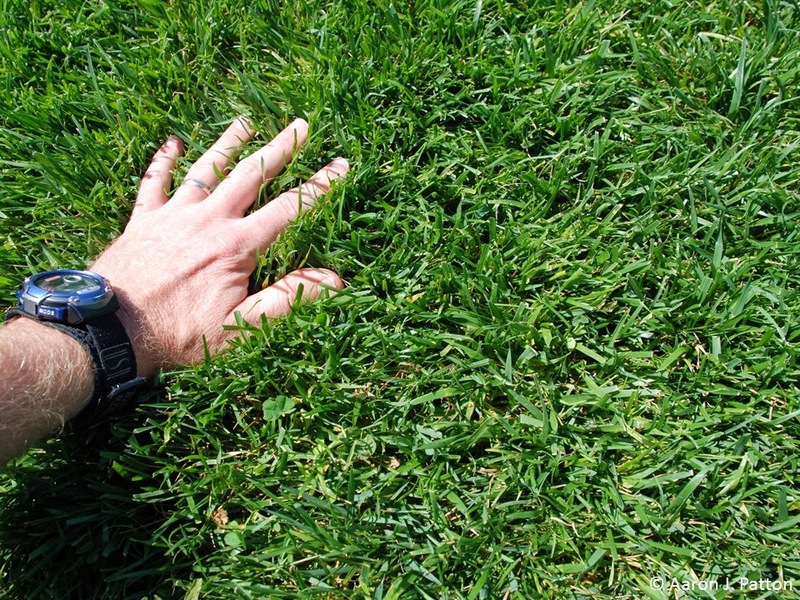 Lawn mowing height: the best mowing height for Tall Fescue is 3-3 ½ inches. Fine Fescue is a fine-leaved turf grass which grows in low soil moisture, low fertility, shade, and unfavorable pH’s. If managed correctly, the fine fescue is fair to good quality of attractive turf. Fine fescues are rarely seeded alone in Ohio or are the principal species. Its most often mixed in with other cool-season grasses for shady or low maintenance lawns. Lawn mowing height: Fine Fescue needs to be mowed between 2 ½-3 ½ inches. The post 4 Grass Types for Lawns in Cleveland, OH appeared first on Lawnstarter.